Special FRCC Member pricing and benefits are listed on the promo brochure below. Online Enrollment: Click the enroll link, choose your plan and enter the promo code provided. Note: Online meberships for your selected area must be done through the Rancho Cucamonga location and then transfered to your desired location. 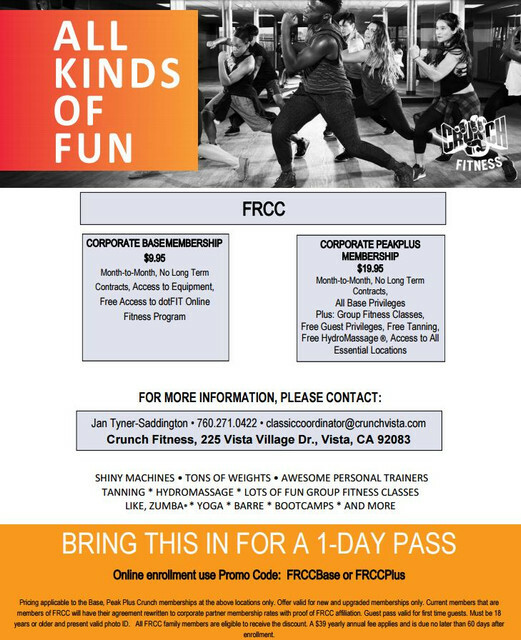 Offline Enrollment: Click on the brochure below to print and take it to your desired location (proof of FRCC membership), also good for a 1 day free pass.